The ACLU, which leads the front for open borders in the United States, has reportedly spent nearly $400,000 in broadcast television ads against Kobach in the Topeka, Kansas, broadcast region, alone, over the last few weeks before today’s election. For years, Kobach has opposed the ACLU’s agenda of open borders and lax election laws. 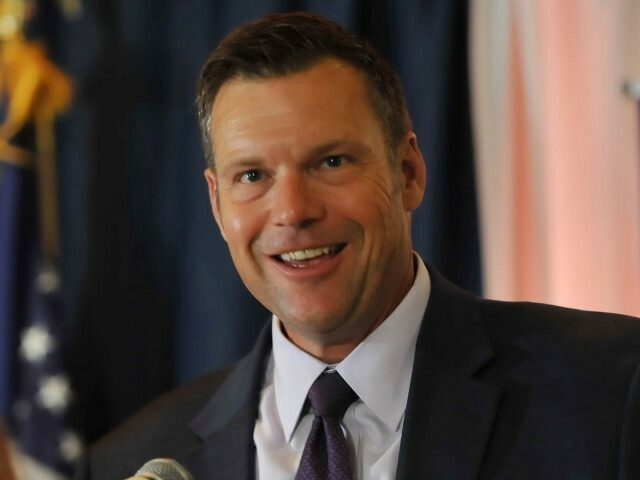 Most recently, Kobach has fought in the courts to implement an election security measure that would require voters to prove their U.S. citizenship to ensure foreign nationals and noncitizens are not voting. Democrat Laura Kelly, Kobach’s opponent in the gubernatorial race, has supported measures that align her with the Soros-funded ACLU — including taking a pro-amnesty platform for illegal aliens and supporting abortion. In the GOP primary, as Breitbart News reported, the ACLU made an unprecedented move by making robocalls to Kansas voters to ask them to oppose Kobach. Kobach and Kelly have run a tight race ahead of Tuesday’s election with most recent polls showing the two are at a near tie. Editor’s Note: Kris Kobach is a columnist for Breitbart News Network.